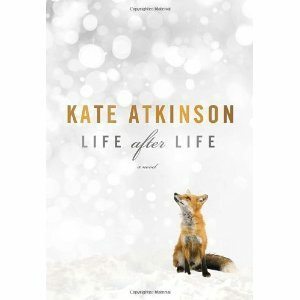 Screenwriters Semi Chellas* and Esta Spalding are co-writing an adaptation of Kate Atkinson’s British wartime novel, Life After Life, for Lionsgate Entertainment. The two writers, who are well-known in the Canadian television industry, have plenty of experience taking literature from print to screen. In 2003, Spalding, who is also a poet and novelist, adapted Barbara Gowdy’s Falling Angels for a feature film and co-wrote, along with director Deepa Mehta, a script for The Republic of Love, an adaptation of Carol Shields’ novel of the same name. In 2008, Chellas, who was nominated for an Emmy Award for her writing on Mad Men, adapted Who Named the Knife, a book by Spalding’s mother, Linda, for a television movie. That year Chellas also directed Green Door, a short film written by Gowdy, which premiered at the Toronto International Film Festival. Chellas’s writing has also appeared in the literary journal Brick, for which both Spaldings are contributing editors. Correction, Aug. 19: An earlier version of this post contained an incorrect spelling of Semi Chellas’s surname.